Don't blame me. That's evolution. Evolution's always hard. Hard and bleak. 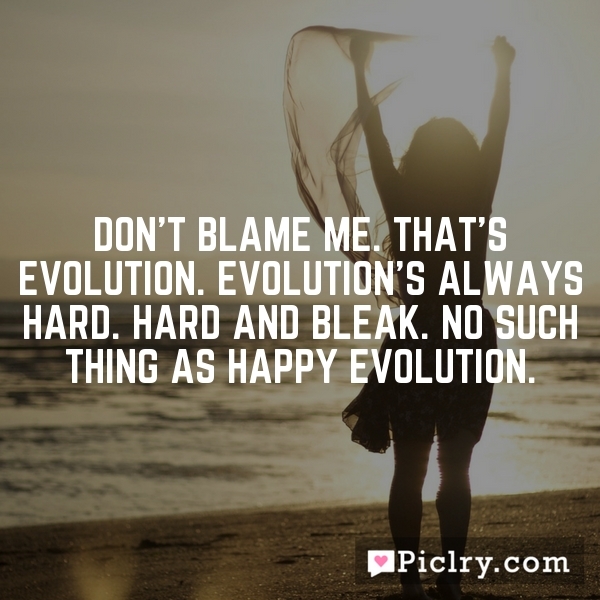 No such thing as happy evolution. Don’t blame me. That’s evolution. Evolution’s always hard. Hard and bleak. No such thing as happy evolution. Knowing what the right thing to do is usually easy, but consistently doing the right thing in the face of adversity is something else. That is the true test of character. I still love this team and feel we have all the makings to be a top team by the end and a dangerous one in the playoffs. Most of us must learn to love people and use things rather than loving things and using people.